When you think you've gone far enough, go farther. For a rock music movie with a quirky twist, we go to 2014’s Frank. As he waits near the seaside, aspiring songwriter/musician Jon Burroughs (Domhnall Gleeson) views a man who tries to drown himself (Shane O’Brien). He finds that the guy plays keyboards for an avant garde rock band called “Soronprfbs”. Jon reveals that he also plays keyboards and gets the gig to accompany Soronprfbs at their local show. This sends Jon on a unlikely journey, as he becomes a member of Soroprfbs and learns about their inner dysfunction. Much of this stems from the weirdness of leader Frank (Michael Fassbender), a singer who wears a large papier mache head on stage – and all the rest of the time, too. Jon thinks he’s going to play one gig, but instead, he finds himself holed up with the temperamental band members in a remote location with the goal to record an album. We follow their interactions and the band’s attempts to climb up the ladder of success. A movie that casts a star like Fassbender in a role that obscures the actor’s face launches from a certain place of perversity, and Frank revels in its own oddness. Flicks like this walk the proverbial fine line between clever and stupid, and they can seem so self-consciously quirky that they end up much more on the “stupid” side of that line. Frank occasionally falls into that trap, as it works so hard to be Weird With a Capital “W” that it threatens to alienate the viewer. The best movies of this sort come across their strangeness naturally, but Frank wears its quirks so actively on its sleeve that it sometimes simply tries too hard. Still, the film presents itself in such an unassuming manner that it often manages to overcome these concerns. The cast helps, and even though Fassbender can’t rely on facial expressions as part of his performance, he still captures Frank in a splendid manner. He makes the role convincingly odd but gives the character a charming naivete, as he straddles the line between mental patient and lovable eccentric with aplomb. Gleeson also aids the film’s cause. As the only “normal” character, Jon acts as the audience’s entry into the tale, and Gleeson delivers a believable, natural turn that suits the film. The story places a lot of responsibility on the Jon role, and Gleeson proves up to the challenge in his easy-going performance. Frank does come close to going off the rails, mainly during a slightly unfocused second act. However, it keeps us with it and avoids most of the potential pitfalls to turn into a strange but enjoyable character fable. Frank appears in an aspect ratio of approximately 2.40:1 on this Blu-ray Disc. This became an appealing presentation. In terms of colors, the movie went with a chilly teal most of the time, and the palette remained subdued throughout the film. The tones consistently seemed clear and concise within those parameters. Blacks were deep and firm, while low-light shots came across as appropriately dense but not overly dark. Overall, the picture appeared positive. I also felt pleased with the DTS-HD MA 5.1 soundtrack of Frank, as it worked well for the character-based film. The soundscape occasionally popped to life but it usually concentrated on music and dialogue. The environmental material helped broaden the movie’s horizons – especially during performances - but don’t expect a lot of active, involving material; the mix usually remained fairly subdued. Audio quality was very good. Speech seemed crisp and distinctive, as I noticed no flaws like edginess; accents rendered lines tough to understand at times, but those issues didn’t stem from the accuracy of the source. Music seemed warm and full, while effects showed good clarity and definition. This was a solid but unexceptional track. With that we head to the disc’s extras and an audio commentary from director Lenny Abrahamson, actor Domhnall Gleeson and music composer Stephen Rennicks. All three sit together for this running, screen-specific look at story/character areas, influences, cast and performances, sets and locations, editing, and music. After a slow start, the commentary becomes pretty solid. 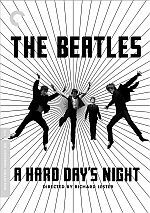 The three men interact in an engaging, humorous manner and they deliver a nice roster of details about the movie. This ends up as a worthwhile chat. Three Deleted Scenes fill a total of 11 minutes, 17 seconds, as we find “Psychosis” (0:36), “Ayahuasca” (4:14) and “Creaky Door” (6:27). “Psychosis” offers a quick snippet with band manager Don, while “Ayahuasca” shows Jon’s Native American drug trip. “Door” shows a band recording session. “Door” is probably the most interesting of the three, but none add much. A few featurettes follow. Behind the Sounds goes for 10 minutes, 19 seconds and includes notes from sound designer/re-recording mixer Steve Fanagan, re-recording mixer Ken Galvin and supervising sound editor Niall Brady. They discuss aspects of the music and audio of the movie. We get a good mix of notes in this fairly informative piece. In the two-minute, 10-second Behind the Mask, we hear from Abrahamson, production designer Richard Bullock, and actors Michael Fassbender, Scott McNairy, Domhnall Gleeson and Maggie Gyllenhaal. The featurette discusses challenges related to a lead actor hidden beneath a large fake head. “Mask” is too short to be more than a teaser. Next comes Meet the Band, a four-minute, 42-second clip with Gleeson, Fassbender, McNairy, Gyllenhaal, Abrahamson, and actors Carla Azar and Francois Civil. They provide quick thoughts about their characters and performances. Like “Mask”, this turns into a brief, superficial piece. What Is the Name of the Band? occupies three minutes, eight seconds and gives us remarks from Gleeson, Fassbender, Abrahamson, McNairy, and Rennicks. Here we get thoughts on the pronunciation of “Soronprfbs” and aspects of the band. It’s another short, forgettable show. We get more from one commentary participant in an Interview with Director Lenny Abrahamson. It runs 19 minutes, 22 seconds and covers story/characters, inspirations and influences, cast and performances, music, locations, and related areas. Abrahamson offers some decent notes but doesn’t reveal much we don’t already know. Finally, we find AXS TV: A Look at Frank. The two-minute, 44-second piece includes Fassbender, Gleeson, McNairy, Abrahamson and Gyllenhaal. Expect a glorified trailer without much substance. The disc opens with ads for The Two Faces of January, White Bird in a Blizzard, Life Itself and Honeymoon. We also find the trailer for Frank. Though it occasionally threatens to become swallowed by its own self-conscious oddness, Frank comes with enough charm to keep us occupied. The movie boasts a spry sense of humor and never takes itself too seriously. The Blu-ray presents good picture and audio along with an erratic set of supplements. 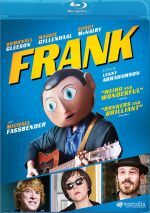 Goofy but engaging, Frank makes for a clever entry in the "rock movie" genre.